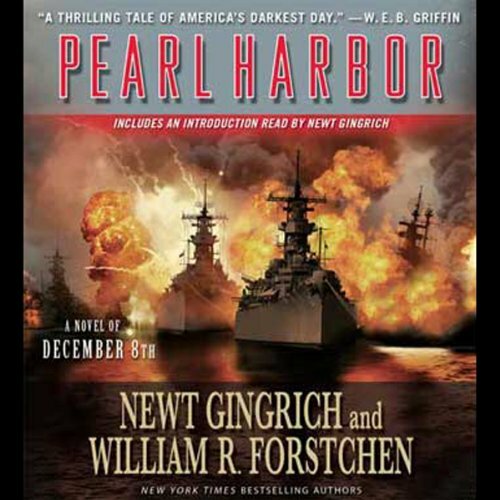 After their New York Times best-selling series on the American Civil War, Newt Gingrich and William Forstchen now turn to the events leading up to the Japanese attack on Pearl Harbor and examine how different decisions might have profoundly changed the history that unfolded. Poignant and rich with memorable characters - from the Japanese Naval Academy to the British garrison at Singapore and the Americans at Bataan - Pearl Harbor is the account of the day that started the war for the Pacific. 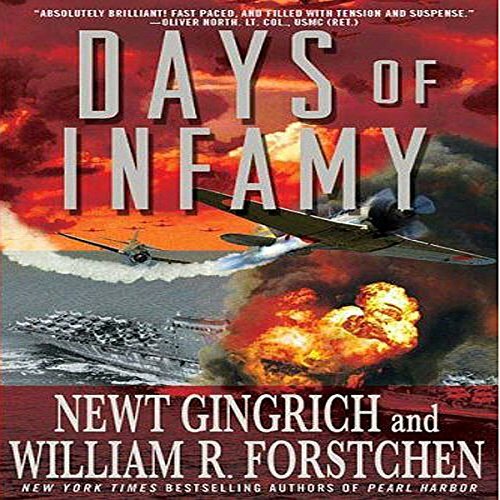 Layering historical facts with fictional characters, political motives, and Western/Eastern theories, Gingrich and Forstchen once again prove their strength as historians and storytellers. Pearl Harbor is in utter chaos after the unexpected third strike by Imperial Japanese Naval Air Forces, ordered into the attack by Admiral Yamamoto. A victory has been achieved, but is it total victory? Yamamoto is horrified to discover that the Foreign Ministry office of his government has utterly failed in their promise to insure that a proper declaration of war be delivered to America prior to the opening of hostilities.